Beacon Insurance Agency of Pace, Inc. was formed in 2009. Our goal was to become allied insurance providers for the needs of churches, Christian schools and other religious and nonprofit organizations. As our sole focus, these clients represent the best of those who serve others. And that is our calling – to serve those who serve our community. That singular focus allows us to understand the challenges you face and to better understand your needs. As your insurance providers, we know that every church is different. We handle each church and each organization on an individual basis. We provide custom plans and offer policies to best serve you. Beacon represents carriers with specialty church insurance programs and have formed a strong alliance with GuideOne Insurance. Since their founding in 1947, GuideOne has grown to be one of the foremost carriers in the United States. It is an invaluable resource for providing safety tools needed in the operation of churches and religious organizations. Our partnership with them has enabled us to offer package policies that cover the many unique risks of a church. We understand those risks because of our focused dedication to our clients on an individual level. Beacon has been blessed as an insurance provider. We feel that blessing is a result of our mission to serve those who serve Christ and our community. We are honored to have partnerships with the best financial carriers and have a team of dedicated, talented underwriters. Our clients are our greatest blessing, and our retention rate is over 98 percent with continued growth. We only represent strong financial carriers with an A rating or better from AM Best. "I am often asked,"What is the most important thing a church should consider when analyzing their coverage?" Hands down, the most important priority is to have a church policy. Only this type of policy will cover the many unique risks only a church faces. A standard policy will simply not cover many of these exposures. The second most important item would be to have a local agent that can personally survey your risks and be there for you in a time of need." Beacon Insurance Agency is more than just a business for me. It is my calling. I took a leap of faith in 2009. I went out on my own after 13 years in the commercial insurance industry. My passion for building relationships combined with my love of helping churches enjoy peace of mind drives my decisions every day. Now, I am the only agency in Northwest Florida who specializes in servicing churches. I value the relationships I have with my clients and consider them family. At Beacon, we love being one of most customized insurance providers in the area. A 4th generation Santa Rosa County native, I raised my three children with my late wife of 26 years, Mary-Stewart, in Pace, Florida. Faith, family and friends have been the touchstones of our lives. I am fortunate to have a business in which I can find both satisfaction and success. Giving back to our community is an important value in our family. And through Beacon, I am able to align my priorities with my profession to serve my clients. I graduated from Berry College in Rome, Georgia. I obtained my commercial insurance license in 1998. 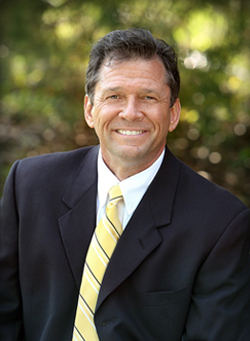 Throughout the years, I have written insurance programs for a wide variety of businesses. Those include churches, contractors, nursing homes, doctor’s medical malpractice, and condos. In 2008 I truly felt called to help churches with their higher purpose - serving the needs of their congregation. At Beacon, we help by protecting our clients so they can focus on their mission. If you are a church, Christian school, private school, nonprofit or other religious organization, my team and I would love the opportunity to serve you. Please call me at 850-290-8181 to find out how I can help you. 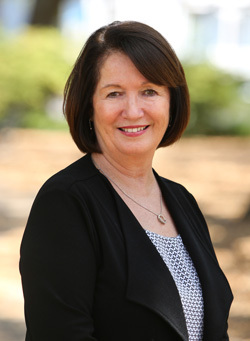 Debbie Lloyd has worked in the insurance industry for over 30 years. In April 2005, she joined The Society of Certified Insurance Counselors, earning her designation as a (CIC) Certified Insurance Counselor. Debbie earned her Designation as an (AAI) Accredited Advisor in Insurance in June 2007. She shares Beacon Insurance Agency’s mission to serve those who serve others. Debbie enjoys working with clients to secure insurance protection through trusted insurance providers who understand the specific needs of religious, private schools and nonprofit organizations. She understands the importance of providing the clients with excellent customer service and is dedicated to ensuring the service that they deserve. Faye Lewis has been an insurance professional for the last 17 years and is experienced in commercial lines insurance, account management, customer service and marketing. Faye earned her Certified Insurance Service Representative designation which empowers individuals to provide exceptional account management and customer service to their clients. While working with Beacon Insurance Agency, Faye has developed a very special relationship with each and every client from the very small startup churches to the larger churches, schools and nonprofits organizations. 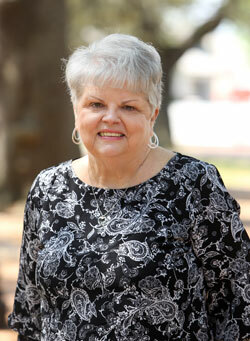 Faye is dedicated to Beacon Insurance Agency’s mission to serve those who serve others.